Imonolith – the new metal powerhouse featuring vocalist Jon Howard (Threat Signal, Arkaea), drummer Ryan ‘RVP’ Van Poederooyen (Devin Townsend Project), guitarist Brian Waddell (Devin Townsend Project), bassist Byron Stroud (Strapping Young Lad, Fear Factory), and second guitarist Kai Huppunen (Methods of Mayhem, Noise Therapy) – is making an unforgettable entrance with a brand new official single, “Hollow”, available to stream/download for the first time today. “Hollow” serves as the perfect introduction to Imonolith, a band whose mission is simple: to write the heaviest riffs, the biggest hooks and most monstrous grooves. Given the impressive pedigree of each player, they do exactly this and more. Recorded and produced by Brian Howes and Jay Van Poederooyen (Nickelback, Chris Cornell, Airbourne, Hinder, Daughtry) at Van Howes Studios in Los Angeles, California, “Hollow” is immediately setting the bar high – and the best is yet to come. 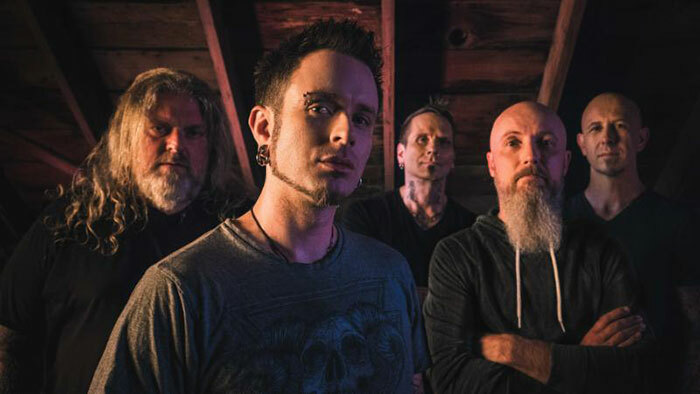 Imonolith was officially formed in February 2018 by drummer Ryan ‘RVP’ Van Poederooyen and guitarist Brian Waddell, although the pair started writing their own brand of heavy music in 2015 whilst playing together in the Devin Townsend Project. RVP and Waddell then went on to recruit vocalist Jon Howard, bassist Byron Stroud, and second guitarist Kai Huppunen, completing a fearsome line-up. The Canadian quintet have since written a mass of highly diverse material, which appeals to everyone from the metalhead to the radio rock fan, and everyone in between. Since teasing demos and video clips online, Imonolith have amassed a dedicated legion of supporters worldwide, and with the release of the new single, their following is set to expand by the thousands. With their first run of shows throughout Canada announced and big international plans in the pipeline, 2019 is set to be a huge year for Imonolith. Burning Hot Events is brought to you by Kataklizmic Design - Media Arts & Branding Services for all types of artists, and small businesses.